Joy Regullano's latest "White Fetish" sketch spoofs beauty tutorial videos. Daaaaaaamn. 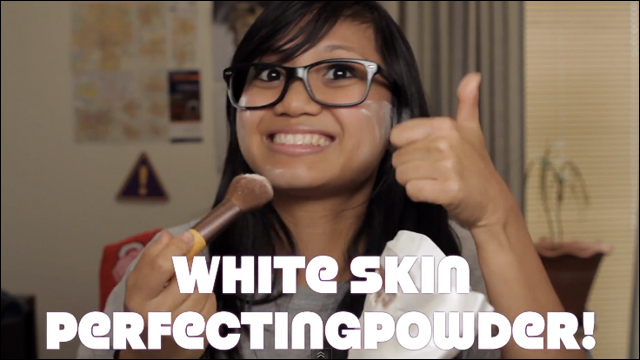 In the hilarious latest installment of her "White Fetish" webseries, actor/writer Joy Regullano spoofs YouTube beauty tutorial videos, offering a few of her own helpful tips for folks whose unsightly Asian features just can't seem to meet those impossibly unattainable White Standards of Beauty. "Are you a self-hating Asian? Do you wish you looked more white? Then this makeup tutorial is for you!" Transform yourself "from a forgettable face in a sea of a billion Asians into a Disney princess!" For more from Joy Regullano, visit her website and check out the other videos on her YouTube channel.